GameMakerBlog strives to be as helpful as possible to our fellow Indie Devs so it makes us very happy when we get awards like this. 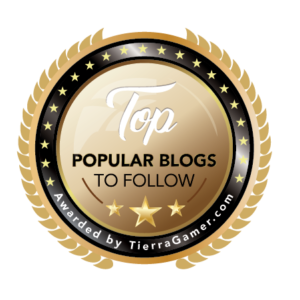 We appreciate aggregate websites like tierragamer because they filter down the many different blogs and websites available into a concise list with a summary on each so you can quickly see which websites you need to visit for your needs. Time is quickly becoming the most valuable resource in our informational age so anything that gives us some time back is worth it’s weight in gold. I do want to point out a few more blogs that are also on the list, so let’s do a very quick recap from a developer point of view. Award winning game developer, writer and artist, Dan is doing some great things. He has a new book coming out, a brand new game and updates his blog frequently. Check it out for some insights on the artistic side of Game Design which is sometimes hard for a programmer to grasp (I have significant challenges with creating game art). Keeping on the same topic of graphics and artists, we have Chris who is a pixel artist and his website shows it. Chris puts out some impressive tutorials, both written and video, in a very simple to follow format. For example, this tutorial is extremely helpful: Creating A Rotating Face which I already am trying to use in my spriter pro character (note…”trying”, again I am very artistically challenged). Gamification is becoming a way of life, as the reward centers of the brain continue to get hooked on “winning” points and status permeates through our society, more and more websites and games need to bring new Gamification methods to keep users engaged. For example, a simple forum for your game isn’t enough, but a forum that rewards active users with currency that can be used in your game for perks will greatly increase user interaction. Although purchasing services might be out of Indie Developer budgets (I know it is beyond what we have available), you can read their blogs to get some good information and ideas. I know this seems out of order, but I wanted to separate out 16Bit Dad from the above blogs and websites because this is something unique here: 16Bit Dad is an honest and down to earth blog. The range of blog posts and articles are so varied that this blog doesn’t fit into any category except “Life Lessons” and because of that I feel it is worth mentioning and reading. An honest viewpoint should be valued just as much as a snippet of code or a tutorial and I applaud 16Bit Dad for staying true to it’s format for all these years. I appreciate every follower who reads GameMakerBlog, and as we start to develop more community programs the hope is that we will all work together to achieve greater successes than we ever could do alone. To that end, we are working on a very large project that will be of great interest to all developers, artists and creators. I don’t want to give too much away but we hope to have an announcement in a few weeks (I know this is a pretty long time, but the project is very large).